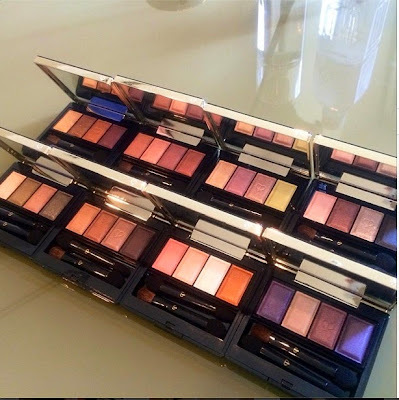 Cle de Peau is introducing a new line of eyeshadow palettes for fall with their La Beaute Celeste collection, due out in August in Singapore. There will be eight quads in total. See pics of Cle de Peau's spokesmodel Amanda Seyfried at the press conference in Tokyo here. Pic below by Her World (Singapore). whoa, those are so beautiful! I adore that purple/rose/pink quad! Hopefully these will pack some pigment unlike the current CdP range of glitter dandruff palettes!